Roommates Adriane Insogna, Leslie Mazzara and Lauren Meanza had decided to call it a night after they had finished handing out candy to trick-or-treaters. It was not long after 11PM, when the three 26-year-old women, who shared a house on Dorset Street in Napa Valley, California, headed for bed. Outside, a man watched the house. He waited, smoking cigarettes and dropping the butts in the yard. When the house was dark and quiet, the man shimmied in through an unlocked first-floor kitchen window. Lauren, who had the only bedroom on the first floor, was awoken by noises coming from upstairs. She crept out of her room, quietly and slowly, trying to discern what she might be hearing. Then came, what she described as a “blood-curdling, terrified scream” and breaking glass. Suddenly, there were footsteps thundering overhead, coming down the stairs. Lauren bolted from the house using the back door, hiding in the backyard. She stayed hidden, fearing she was trapped and that whoever was in the house was coming for her next. She heard the intruder climb out of the same window and run off, footsteps echoing in the night air. Meanza ran back into the house when she thought she was safe to do so. She headed to her friend’s bedrooms upstairs and found Leslie Mazzara facedown, in a pool of her own blood, in the doorway of her bedroom. Meanza found Adriane, crouched behind Leslie’s bed and alive, but bleeding profusely from multiple stab wounds. Lauren tried to use the landline to dial 911 but found the connection was dead. She raced for her cell phone, fleeing the house and driving away in her car, fearing she might still be in danger. When police and emergency services arrived on scene, Leslie Mazzara was officially pronounced dead, but Adriane Insogna was still clinging to life. Paramedics started to work on her stabilizing her, but Adriane died before they could get her to the hospital. Both women had been stabbed multiple times. Meanza told police what she heard, but wasn’t able to give a description of the killer because she’d been hiding, too scared to look as the man left the house. The grisly murders shocked residents of the gateway to wine country. The two women were outgoing, kind and well-liked by neighbours. There had not been a murder in the town in four years. Leslie Mazzara was a South Carolina native and former beauty queen (Miss Williamston) who had moved to Napa Valley just that year to be closer to her mother. She worked at a winery in nearby Rutherford. She was described by friends and family as having a bubbly personality, someone who could elevate the mood of everyone around her. During the summer of 2004, Leslie moved in with Adriane Insogna and Lauren Meanza who rented a house on Dorset Street and needed a third roommate to split the rent. An avid volleyball player, Adriane was a fiercely competitive woman who was no stranger to close calls with death – at 16 she’d nearly died in a car collision. The accident left her with short-term memory loss and difficulty reading. Despite this, her driven-nature eventually landed her a college scholarship. She became a civil engineer and got a job with the Napa Sanitation District after graduation. It was at this job where she met Lily Prudhomme. The two women became close friends. Lily, along with her fiance Eric Copple, had spent evenings hanging out at Adriane’s shared home. After the murders, police and forensic investigators painstakingly combed the scene for evidence. And for the next 11 months, they interviewed over 1300 people and collected 218 DNA samples, determined to solve this crime. On September 22, 2005, police released a statement saying they had a match on blood DNA evidence from the scene to cigarette butts found outside. Furthermore, the cigarette brand was very unusual – Camel Turkish Gold. Police hoped that by releasing this information that it would prompt someone to make a link between a person in their life who smoked that particular brand, and that they would come forward with a name. 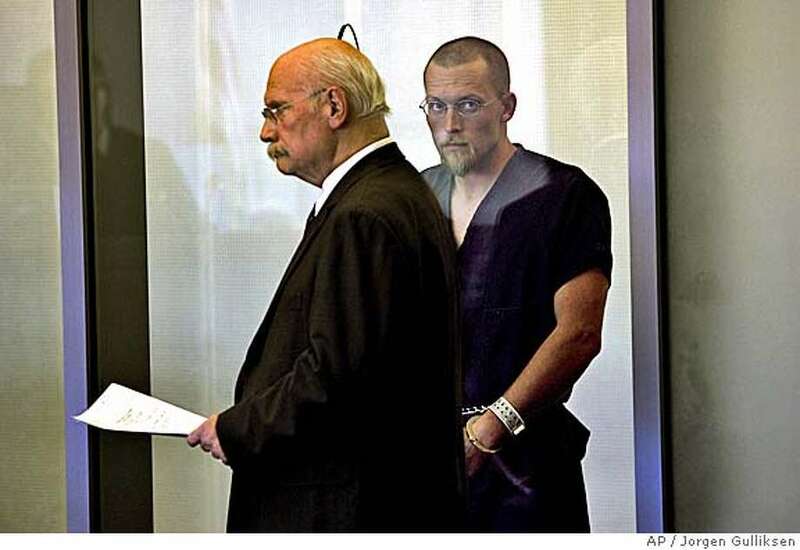 The surprise of the police, only days later on September 27, Eric Copple, the now-husband of Adriane’s friend Lily Prudhomme, turned himself in for the murders of Leslie Mazzara and Adriane Insogna. Camel Turkish Gold was Copple’s brand. Fearing capture was only a matter of time, Copple confessed to his family and new wife, who convinced him he needed to turn himself in. They even accompanied him to the police station to do so. No motive has ever officially been released for the murders, with Copple himself unable to justify or explain his actions – telling police during interviews that he could barely remember what happened. However, the most likely theory believed by authorities is that Copple felt threatened by his then-fiance Lily’s close friendship with Adriane Insogna; that he somehow feared Lily spending time with Adriane would come between his relationship with his future wife. Copple, for all the time he’d visited Adriane’s house, had never met Leslie Mazzara and why he killed her is unclear. Was her bedroom the first one he entered, confusing her for Adriane? Was his intention to kill everyone in the house, knowing two other girls besides Adriane lived there? Adriane, police believe, died as she went to Mazzara’s rescue after hearing her friend’s screams. She scratched and hit at Copple – which left his blood at the scene to be matched to the cigarette butts – before he overpowered her. Leslie Meanza has been plagued with Survivor’s Guilt since that night. Two weeks after the murders, Lily Prudhomme had organized a candle-light vigil for her friends, which Copple attended. Then in February 2005, Lily asked Adriane’s mother, Arlene Allen, to read a passage from the Bible during the ceremony. Eric Copple was charged with two counts of first-degree murder and pleaded guilty to both, forgoing a trial. After discussions with the victims’ families, Copple’s attorney’s and the Prosecution, an agreement was reached that Copple would spend the rest of his life in prison, with no possibility for parole, in exchange for the death penalty being taken off the table. He also waived his right to appeal and his right to talk about the case to anyone except for members of a clergy, meaning media interviews are not allowed and we may never get to hear just what his motive was, should he ever realize one. Posted on October 2, 2018 March 12, 2019 by Krystin RachelPosted in First Degree, Homicides, True CrimeTagged book, Book Blog, Book Blogger, Book Review, book reviews, Books, Crime Fiction, halloween, Horror, Mystery, Mystery Fiction, psychological suspense, suspense, Thriller, True Crime, True Crime Blog, true crime tuesday. It’s insane to me that Lily says she still loves him. I don’t think I could be capable of loving someone still after finding out they murdered someone in cold blood. Oh also love the new Halloween banner! Like I love my husband more than everything, but if he brutally murdered two young girls for no reason it would completely change how I saw him; it would mean who I loved was no who he really was and it would change everything. So yeah, I don’t get that either. October is the literal best month of the year and I already have my apt & cubicle at work decorated for Halloween because I have no control and no shame. I’m excited about your Halloweenie True Crime posts! I actually remember this murder from when it happened since I live in California. I can’t believe that she still loves him though… that’s something else.